It’s Day 3 of the Sweet Romance Reads Book Blast. To help celebrate, I’m offering A BEAUTIFUL STRANGER for 99¢ in the Amazon Kindle Store. This is the first book in my new series called A Family Forever. 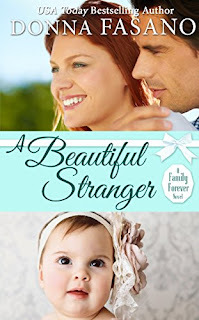 In A BEAUTIFUL STRANGER, Sean Hudson arrives to claim his new daughter only to learn the adoption hinges on the impossible. Unless he finds a wife immediately, the tiny orphan will be snatched away from him forever. But before he can abandon hope, a beautiful stranger proposes a surprising solution—marriage. I hope you’ll take a look at the other titles in the series. You can learn more about me on my website, or you can sign up for my newsletter here. 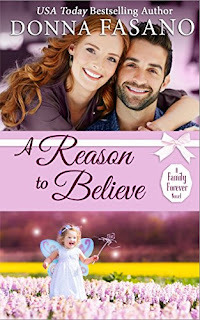 Come back tomorrow and enjoy another bargain-priced book in the Sweet Romance Reads July Book Blast where we are celebrating bargain books all month long! Looking for a delicious summer recipe to help you celebrate the 4th of July weekend? Vegetables on the grill... yum! Find the recipe here. Happy Independence Day to everyone in the USA! 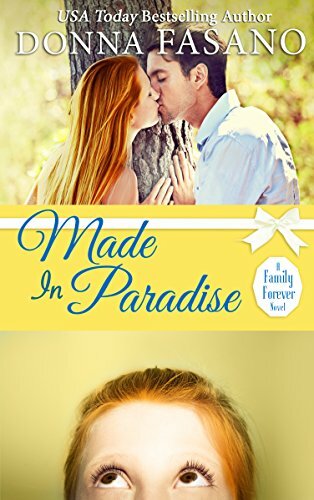 Labels: @DonnaFaz, A Beautiful Stranger, A Family Forever Series, A Reason To Believe, Donna Fasano, Made In Paradise, USA Today Bestselling Author, What are the best sweet romance books? Thanks for the book offer, Donna. And the grilled veggie recipe is perfect for our July 4th celebration! Both of these books sound wonderful. Thanks so much for sharing them with us. Josie and Mary, thank you for stopping by. I really appreciate it!